A local graduate of Bonneville High School. After completing his undergraduate program at Weber State University, he continued his education and graduated from Western States Chiropractic College of Oregon in 2002. After graduation and residency he and his family chose to return to Utah to share with others the benefits of natural, quality chiropractic care. 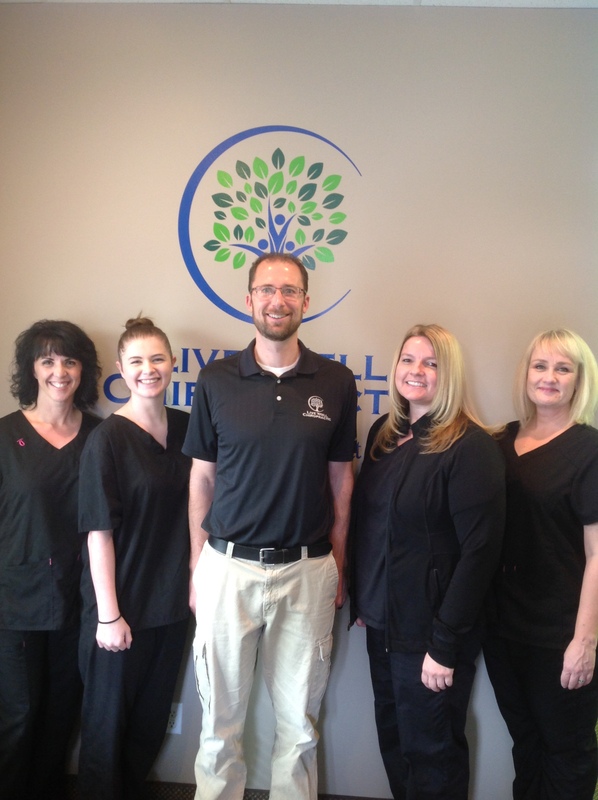 Upon returning to Utah, he opened a new state of the art chiropractic facility in West Haven. He has now been in practice for over 14 years. Dr. Bess was raised in Montana and earned his Bachelor's Degree from the University of Utah. He was then privileged to attend Palmer College of Chiropractic in Davenport, Iowa, graduating in 2003. After practicing in Washington for several years, he's now enjoying his life here in Utah. The father of two teenagers, Dr. Bess loves golfing, wave running, and watching football. More than anything, though, he's passionate about helping others see the vision of chiropractic and realize its potential to change their lives. Cathy has been with our office for 9 years. She enjoys shopping, playing sports, going to beaches and watching her children play sports. In her spare time she raises 4 boys, blogs and loves to go camping with her family. Jaci is one of our Chiropractic Assistants and also our office Health Coach. A mom of 7 kids and grandma to 4, Jaci is a Certified Wellness Coach, the author of 2 books, and (most importantly for her) a former sugar addict who's been in recovery for more than 13 years. You can find more information about Jaci on her website jaciwightman.com. Janel, a native of California, worked for over 10 years as a Licensed Massage Therapist. She's now adding to her skills by manning our front desk. A member of the USA Olympic Raquetball Team, Janel also loves to cook, sing, make jewelry, and spend time with her new husband. Bryton, Dr. Tolman’s son, is also one of our Chiropractic Assistants. He fills in most often at the front desk. A sophomore at Fremont High School, he is a top-level tumbler for Northern Star Bounders. He also loves camping and hanging out with his family. Linda is a 2001 Massage Therapy Graduate (B.S., LMT). She loves taking workshops to continue her advancement. She's also certified in pre-natal massage and providing relaxation to the soon to be mom. As an IASTM Certified Therapist, she knows techniques that relax the connective tissue and provides better range of motion. In her spare time she enjoys cooking, bodybuilding, and spending time with her husband. State University with a bachelor’s degree in Child and Family Studies. "My staff and I are very excited to be a part of this growing community. We serve the families of Roy, West Haven, Hooper and all the surrounding Ogden, Utah communities with natural health medicine including chiropractic manipulation, massage therapy, physiotherapy, and nutritional counseling. We are enjoying the many successes our patients are experiencing with natural healing and we look forward to hearing your success story in the year to come"